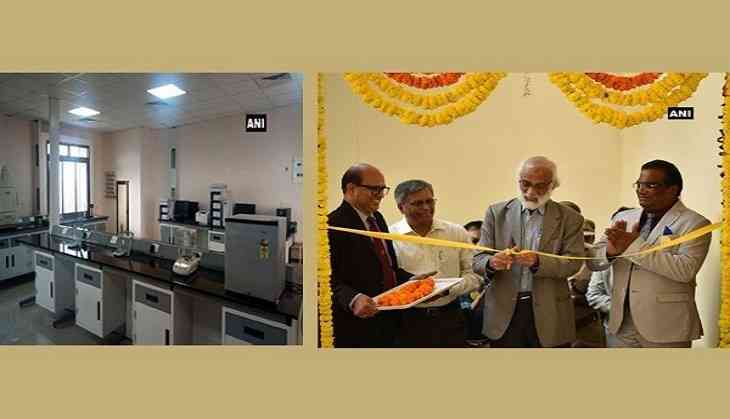 The largest Bio-Incubator facility in Hyderabad, perhaps in India, with 20000 square feet built-up area was inaugurated at School of Life Sciences, University of Hyderabad (UoH), on the National Science Day. The inauguration took place on February 28, with facility that is supported by Biotechnology Industry Research Assistance Council (BIRAC), a unit of Department of Biotechnology (DBT), Ministry of Science and Technology, New Delhi. "I have seen five such facilities in the country but this BioNEST facility is the best among them. Incubators are required in all government institutions for start-ups to commence their work," said Professor. G Padmanaban, Padma awardee and former Director, Indian Institute of Science while inaugurating the BioNEST. "I have gone through 5,000 research proposals and out of that 700 are operational in 500 industries. They have developed 100 products out of which 50 have been commercialised', Padmanaban added. Further congratulating the department and university, Padmanaban noted, "Such is the scope of research and I call upon the government institutions which are having 1000 laboratories to start such incubation facilities that can have start-ups capable of aligning with the research happening in the institution". He called upon the women researchers to take up start-ups and work towards entrepreneurship. Professor. E. Premkumar Reddy, Director of Experimental Cancer Therapeutics, Mount Sinai School of Medicine, New York was the guest of honor at the event. "This is an impressive facility and I am honoured to be here. I am happy to be associated as a mentor for this facility and confident that it will be one of the best in the country," said Prof. Premkumar. "I am happy to be associated as a mentor for this facility and confident that it will be one of the best in the country," he added. He also gave an overview of the Bio-Incubator facilities operating in the United States of America. "It's like a dream come true for the School of Life Sciences and the University of Hyderabad', said Professor Appa Rao Podile, Vice-Chancellor, UoH. "The selection procedure will be stringent for the incubates and we are confident that we will have good start-ups at our facility. The UoH will have the reputation of having one of the best Bio-Incubator facilities in the World," he added. Professor. P Reddanna, faculty in the department of Plant Sciences, Principal Investigator for BioNEST says, "This 20,000 plus square feet facility can accommodate 30 startups and provide 16 benches for research. More than 350 PhD scholars, faculty is available in the School of Life Sciences who can help in collaborations and consulting for the start-ups". The facility is expected to bring together the high-quality researchers in the University and budding entrepreneurs either from the university or from outside to catalyse scientific enterprises that would focus on life sciences, biotechnology, Health care and allied areas. The prospective entrepreneur will enjoy accessing the general facilities and instrument of the incubator as well as specialty instruments and facilities of the school of life sciences and the University of Hyderabad. UoH already made its entrepreneurship entry through Technology Business Incubator (TBI) funded through Department of Science and Technology, Technology Incubation and Development of Entrepreneurship Program (TIDE) funded through Department of Electronics and Information Technology. The BioNEST will incubate startups and entrepreneurs in the life sciences, biotechnology, healthcare and allied areas of research. The proposed incubation facility broadly fulfils the UoH's vision of innovation and entrepreneurship through cutting-edge science and technology that engages students, researchers, and faculty in the region. The facility will have profound impact on the innovation and entrepreneurship ecosystem of the region in general and the campus in particular.